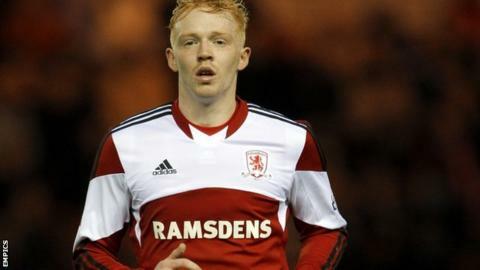 Scunthorpe have extended Luke Williams' loan spell until the New Year. The 21-year-old Middlesbrough forward was initially signed on a one-month deal in October, but he will now stay until at least 3 January. Williams has made three appearances for the Iron so far, scoring once in a 2-1 win at Peterborough on 1 November. Scunthorpe are currently 23rd in League One, but have only lost one league game in their last six under manager Mark Robins, who was appointed last month.